Author: “Barnaby Ross” is a pseudonym adopted by the two gentlemen better known as “Ellery Queen” for a series of four books featuring detective Drury Lane, a wealthy retired actor who has become deaf. Publication Data: The first edition is from Viking Press, 1932. Many, many editions exist. It’s not entirely clear to me when the publication as by “Barnaby Ross” became as by “Ellery Queen”, but an edition from Frederick A. Stokes in 1941 cites both names on the cover and contains a foreword as by Ellery Queen which appears to explain the transition. A number of paperback editions exist, including early Avon and Pocket editions. For this review I used a searchable PDF copy that came in a bundle from a friend, although I’m not sure exactly from whom or when, and so have chosen to illustrate the topmost section of this review with the edition whose cover I find most attractive, Pocket Books #313. 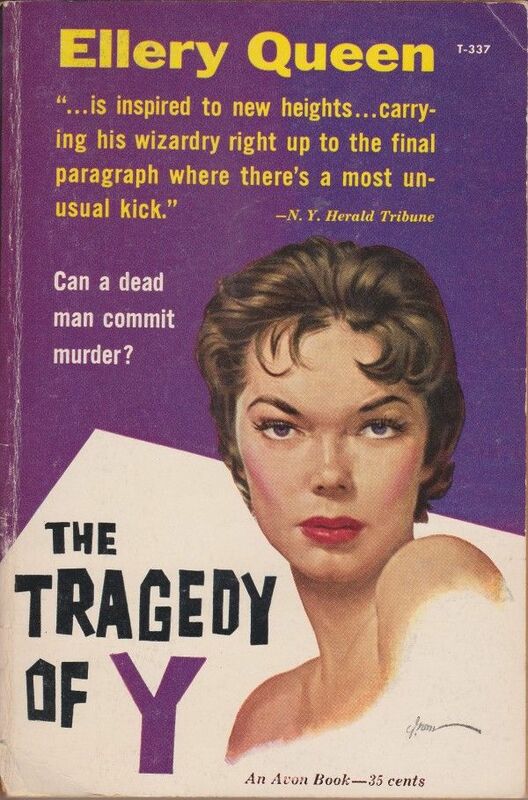 This is the second of four volumes in the brief Drury Lane series; The Tragedy of X, Y (both 1932) and Z were followed by Drury Lane’s Last Case (The Tragedy of 1599), both published in 1933. This story begins with the discovery, by a fishing boat, of a nearly-unidentifiable corpse which is carrying a signed and dated suicide note identifying its transport as Mr. Y. (York) Hatter of New York. The York family consists of the late York, a somewhat ineffectual paterfamilias and dabbler in science who is married to the true governor of the family, the hugely wealthy, eccentric, and tyrannical Emily Hatter. There are four children in the next generation, and everyone lives in the Hatter mansion — home to, as the tabloids put it, the “mad Hatters”. Eldest daughter Barbara is an intellectual and a well-known poet; Conrad is a drunk weakling who married weak-willed Martha and produced two boys, Jackie (13) and Billy (4). Jill, the youngest, is a sensation-seeking debutante who is constantly gracing tabloid covers. And the fourth child, the daughter of Emily’s deceased first husband Tom Campion, is Louisa, who is completely blind, and soon becomes what was in 1932 called “deaf and dumb”. (We are told soon that there is “something evil in the blood” of Emily, since she has given birth to afflicted children by two different fathers; the word is never used, but I gather they mean syphilis, which was incurable in 1932.) Louisa is in many ways the focus of the household, since Emily is fiercely protective of her, and in many ways ignored by everyone else. One final member of the household is the one-legged Captain Trivett, a dependent of Emily’s first husband. He actually lives next door but has complete access to the Hatter home since he is a friend and companion to Louisa. Soon after the discovery of the body, someone leaves a glass of eggnog containing strychnine out waiting for Louisa; it is actually gulped as a spiteful joke by little Jackie, who nearly dies as a result. The doctor calls the police, to the great anger of Emily, and Drury Lane is asked to take a hand. He lives in a castle (complete with “feudal village” full of 20th century people) overlooking the Hudson in Westchester County and we see his vaguely Shakepearean intimate household; we also meet Inspector Thumm, who brings him the case. They have hardly begun to get to know the facts of the case when Emily is bizarrely murdered. She is found dead in Louisa’s room and some unusual bloody markings on her face soon reveal that she’s been beaten to death with, of all things, a mandolin that is usually found in the library. Other clues include a strip of carpet covered with spilled powder that reveals some footprints; a bowl of fruit with a bruised pear that has been poisoned with bichloride of mercury, but, oddly, indications that although it seems meant for Louisa, it’s well-known she would not have eaten one with bruises. Finally, Louisa herself was in the room and has two observations; she touched the murderer’s cheek and it was smooth, and there was a faint smell of vanilla in the room. The household’s alibis prove out or do not, as the case may be, and various subplots within the younger generation’s lives begin to manifest. The children’s tutor is apparently in love with Barbara; the footprints were made by a pair of Conrad’s shoes, which are found to be stained with bichloride of mercury. 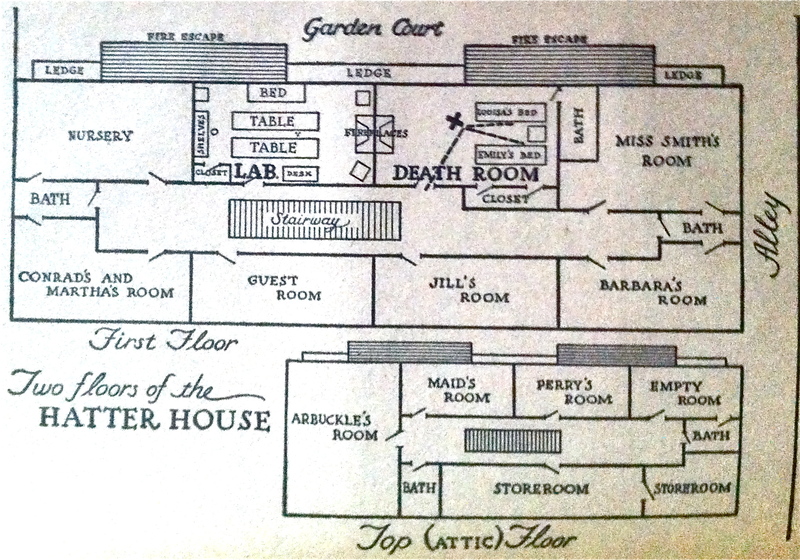 The entrance to the late York Hatter’s laboratory is surrounded by unmarked dust, but there proves to be a secret entrance into the room via the chimney from Louisa’s room. About midway through the book, someone sets fire to the laboratory; the fire is doused, but no one is clear why the laboratory was set on fire. The police are looking primarily at women suspects, because of the clue of the smooth cheek, but admit that a man and woman could be working together. Emily’s will contains some odd provisions, mostly concerned with ensuring Louisa’s future; Louisa has become a source of income, in a way, since whoever agrees to take care of her will inherit considerably more money. (Emily’s estate is the enormous sum of more than one million dollars.) Drury Lane and the police begin to understand portions of what happened the night of Emily’s death, but some parts of the story seem inexplicable and almost random. Drury Lane fakes a heart attack in order to move into the house as a convalescing invalid. The discovery of a document in York’s laboratory explains quite a bit of what happened the night of Emily’s death, and why it happened, but Drury Lane is certain that the murderer still has more actions to perform. 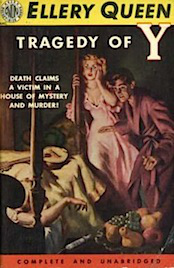 One final murder takes place which completes the story for Drury Lane, and he calls together the police and explains everything to them, with the help of extended logical deductions based upon such things as the distance between the powdered footprints on the murder scene; Drury Lane combines these deductions with the other clues to reveal the unexpected identity of the murderer. He also reveals that he has taken a more active hand in the process and that there will be no further acts of violence in what remains of the Hatter family. In fact, he communicates that he has in effect murdered the murderer without actually saying so, and the police, without actually saying so, decide to let him get away with it, as the book ends. 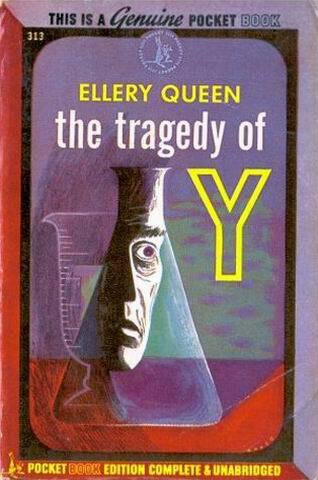 Ellery Queen, of course, is one of the all-time masters of a certain kind of detective story. Its hallmarks are logical deduction from physical clues, characters who are somewhat more types than actual fleshed-out characters, and a certain deliberate amount of bizarrie added in order to interest the reader. And the underlying basis of these stories is always a murder plot which at first glance appears both insoluble and very strange. Many of these stories fall into the “impossible crime” or “locked-room mystery” sub-genre; others you might call howdunnits, alibi mysteries, timetable mysteries, and the like. These are the volumes that come provided with a helpful floor plan so that you can trace the paths of characters as you try to imagine them doing what they’ve said they did, and get a grasp of when people’s paths might have intersected. I think of this kind of detective story as the basis for what we presently call the Golden Age. It is certainly true that not all great Golden Age mysteries are this kind of story, but quite a few of them are. Since Ellery Queen is one of the finest practitioners of this type of story, I’ll suggest that just about anything he (or rather “they”, since Ellery Queen is a pseudonym for two writers, but “he” is easiest) ever wrote is worth your time, pretty much automatically. Ellery Queen novels are easily separated into a handful of periods, and this is from the first, most puzzle-oriented period. 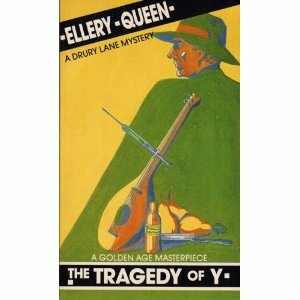 The Tragedy of Y was published in 1932, and Queen’s career started in 1929. One can only imagine the spurt of creative energy that produced, between 1929 and the end of 1932, five Ellery Queen novels of the highest calibre and two Drury Lane mysteries as by Barnaby Ross. 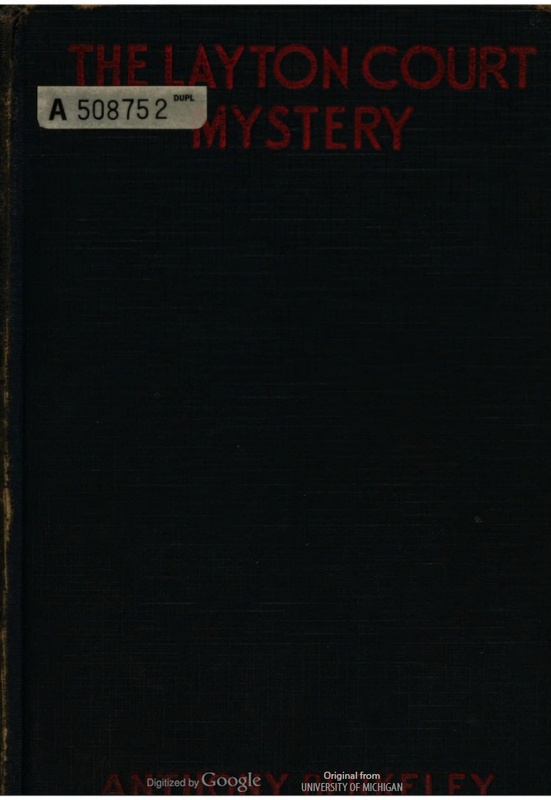 In fact, both Tragedy of X and Y were published in 1932 — along with The Greek Coffin Mystery and The Egyptian Cross Mystery, making an unbelievable four volumes of complex, difficult puzzle mysteries in a single year. 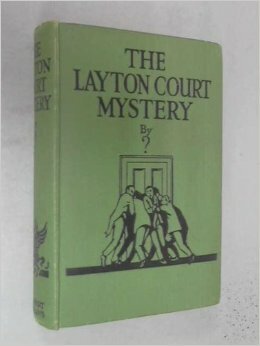 The two remaining novels in the four-volume Drury Lane sequence were published in 1933. It’s hard to understand at this remove exactly what might have motivated Ellery Queen to move aside from what seems to have been a very successful mystery series to write another mystery series. Of course the answer is money, since this enormous workload was not undertaken lightly; I suspect there’s a strong component of striking while the iron is hot. Francis M. Nevins, Jr.’s 1974 volume on Ellery Queen, Royal Bloodline, tells us that in 1931 “they were persuaded by their agent to take the plunge and make it as professionals or bust” (p. 5). I can see where, in the middle of an economic depression, it would be important to work very, very hard to maintain a living and people did not give up jobs lightly, so they would be impelled to be writing a lot. Yet it’s generally accepted that Ellery Queen is the far more successful character; Drury Lane is considered artificial and cliched and the Drury Lane series was wisely, I think, retired the next year. I suspect that Drury Lane began for the same reason as John Dickson Carr began publishing as by Carter Dickson in the same period, because the authors had been told that the public understood large numbers of books coming out under a single name as a signal of low quality. At this 80-year remove, it seems hard to understand why Ellery Queen would “waste” so interesting and complex a plot on the meagre talents of Drury Lane. Just as I understand that a later Queen novel, Halfway House, could have been titled The Swedish Match Mystery in order to fit into the nationalities series, so I also see that this book could easily have been called The Peruvian Balsam Mystery and recast with Ellery Queen. Oh well — perhaps in an alternate universe. And to the student of Queen, there are elements of this book that are fascinating when you consider the repeating of elements throughout the Queen canon. This is the first example of a story which Queen later re-wrote as by Queen, with 1943’s There Was an Old Woman. An enormously wealthy woman, cruel and dictatorial, as the matriarch of a family that has been tainted by syphilis and that has both sane and crazy members — this is all the same. In 1943, Queen was trying to produce novels that would be taken up by Hollywood and filmed, and so the characters in TWAOW are more caricatures than in TTOY, but there is little difference in the basic elements of both books. The wealthy dictatorial patriarch/matriarch, of course, is a mainstay of the detective story — if these wealthy men and women were not around to quarrel with their relatives and catch their secretaries embezzling hours before they change their wills, the detective fiction world would be a sadder, more sparse place. Yes, this theme of the wealthy parent and angry damaged children repeats through Queen’s novels and stories, but it also does so in the work of almost every other Golden Age writer, because … well, it’s just such a useful basis for a story. Raymond Chandler’s The Big Sleep (1939) — there’s not much difference between Carmen Sternwood and this story’s Jill Hatter, and only little more between Barbara Hatter and Vivian Sternwood. Offhand, I can think of stories from Agatha Christie, John Dickson Carr and Patricia Wentworth about poisonous wealthy parents and their poisoned unhappy children. Queen himself revisits the same territory of damaged children in 1952’s The King is Dead, although the wealthy damaged parent is in this case the eldest brother. Put down the cheerleader’s pompoms, Mr. Nevins, it’s not quite THAT important a book. It is well-written and maintains a consistently eerie air throughout, but even The Big Sleep evokes more poisonous despair with the same plot structure, let alone another few dozen novels with more despair and less syphilis. Nevertheless, this is a darn good dark and troubling mystery. Nevins then suggests that the other such theme in this book associated with the longer view of Queen’s work is that of “manipulation”. Without getting too deeply into the details, this book involves manipulation of one character by another in order to generate most of the criminal actions of the plot, although not in an obvious or even strong way. Such later Queen novels as Ten Days’ Wonder (1948) carry forward this theme of one character creating a plan that another one carries out; similarly, The Player on the Other Side (1963) co-written with Theodore Sturgeon, and … and on the Eighth Day … (1964), co-written with Avram Davidson, the theme of one personality following the instructions of another appears. The Player on the Other Side even has a criminal who signs himself with the letter Y — and so we come full circle. It’s definitely a useful basis for a mystery plot; one character has guilt and intent, but not physical involvement, and the other character has the responsibility of committing the crime(s), but usually without the ability or intent to design them. I agree with Mr. Nevins on this point, at least that this theme recurs. I see it only as a useful way of establishing the central spine of a detective story, and he may be giving it more importance in the analysis of the character of the two gentlemen who made up Ellery Queen, but we agree that it’s there and recurs in a number of Queen stories. The only strongly annoying part of this book, in fact, is the character of Drury Lane himself. Let’s face it, he’s a slumgullion of cliches, starting with his name itself. 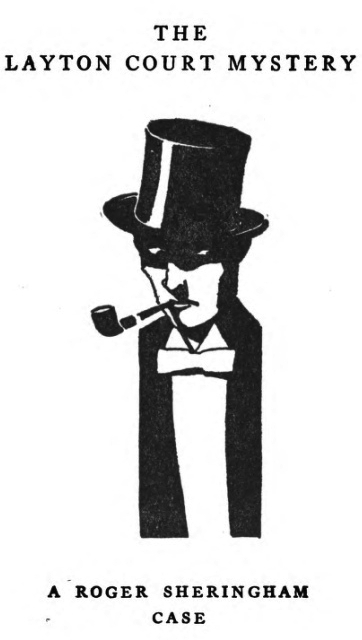 Mr. Lane is a cardboard character who has been marked with deafness not out of any organic understanding of how this would affect someone’s personality, or desire to make the reader understand anything about the nature of deafness, but merely as an interesting trait to attract and retain the reader’s attention. (I admit that the final volume of the four, Drury Lane’s Last Case, brings deafness to the table, but in a kind of meretricious way as merely a plot point explaining an action.) I can’t help but speculate how much more interesting this book would have been with Ellery Queen trying his hand against the Addams-family menage under the roof of the Hatter mansion. Another smaller flaw is that, with the death of the matriarch Emily, the novel’s strongest antagonistic character moves offstage and no one is really there to take her place; this makes the second half of the book rather inactive and smooth, somewhat to its detriment. All things considered, though, this is a difficult and intelligent puzzle plot, for people who like that sort of thing — I certainly do. 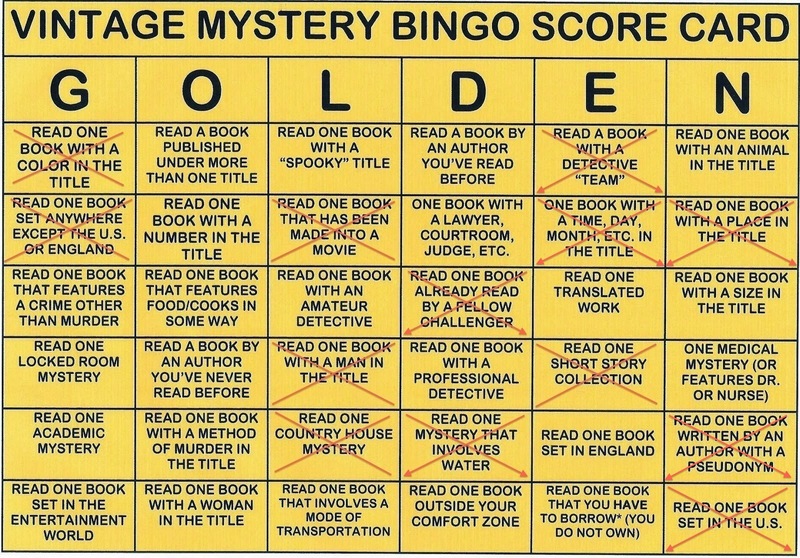 Although the Queenian convention of the Challenge to the Reader is absent here, you can readily stop precisely at the chapter heading of “Epilogue” and you will be in possession of every fact you need with which to produce a complete solution of the mystery. If you can successfully pretend that Ellery Queen is generating the long involved logical chains that lead to the solution, you’ll be very pleased with this book in almost every respect. It is difficult, puzzling, surprising, creepy and atmospheric, and an important novel by an important mystery writer. The most interesting take on cover art is perhaps the foreign-language edition pictured nearby, complete with strategically-covered naked breasts (sigh). 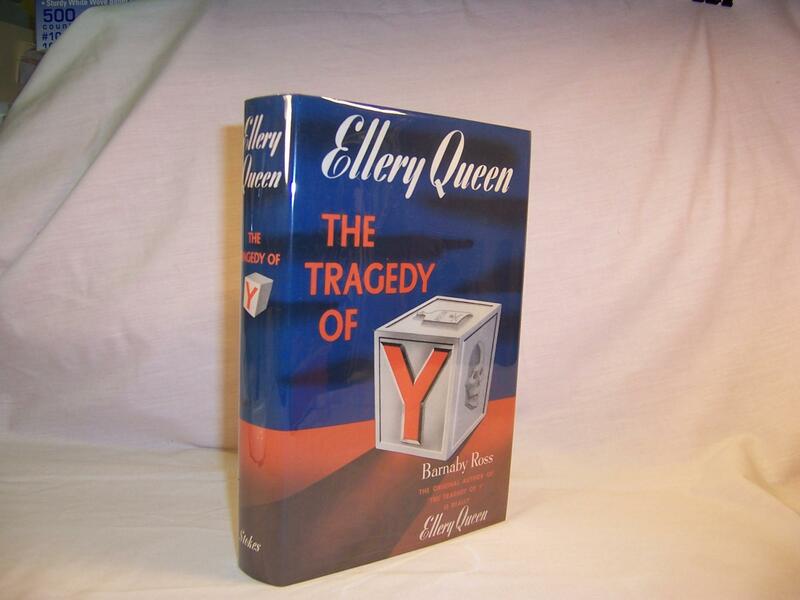 I believe that the original editions as by Barnaby Ross, pre-dating the admission that the author was indeed Ellery Queen, would be the most valuable, and of course the first edition would have pride of place. I note that today a VG copy without jacket is selling for $150, and this seems about right; it might be anywhere from $300 to $700 with a jacket, depending on scarcity. I’m fond of quite a few of the paper editions of this book; most notably, of course, as I said above, Pocket #313, with the purplish hues and abstract cover; a VG copy of the first edition will cost you about $7 plus shipping. But the Avon editions featuring, in T-337, “girl with large breasts in a nightgown” — this would have to be the plump and middle-aged Louisa, I think — and #450’s “cat-eyed girl with anachronistic pixie cut” are also good camp value and either, in Near Fine or Fine shape, may cost you less than $25 in a local bookseller’s or an online market. This 1932 volume qualifies as a Golden Age mystery; fifth under “N”, “Read one book written by an author with a pseudonym.” This certainly qualifies; it was originally published as by “Barnaby Ross”, which is a pseudonym of “Ellery Queen”, a pseudonym concealing two real people. For a chart outlining my progress, see the end of this post.